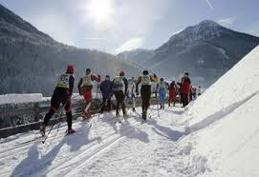 Marcialonga tour for everyone who likes cross country skiing. Join our tour to Italy and experience the most beautiful tracks in the lovely Dolomites! At the end of January, Italy's equivalent to Vasaloppet is held. Classical Marcialonga invites you to 70 or 45 kilometers of public party through 13 small mountain villages surrounded by majestic limestone mountains. The setting is outstanding. We stay centrally in Moena, where the race starts, and enjoy good dinners when our muscles have limbered up in the hotel spa. On the days before and after the race, you can ski in famous cross-country areas in San Pellegrino, Val di Fiemme and Val di Fassa. If you want to ski down-hill, the possibilities are abundant. You can easily reach the enormous Dolomiti Superski with well-known places such as Val Gardena, Canazei and Arabba. 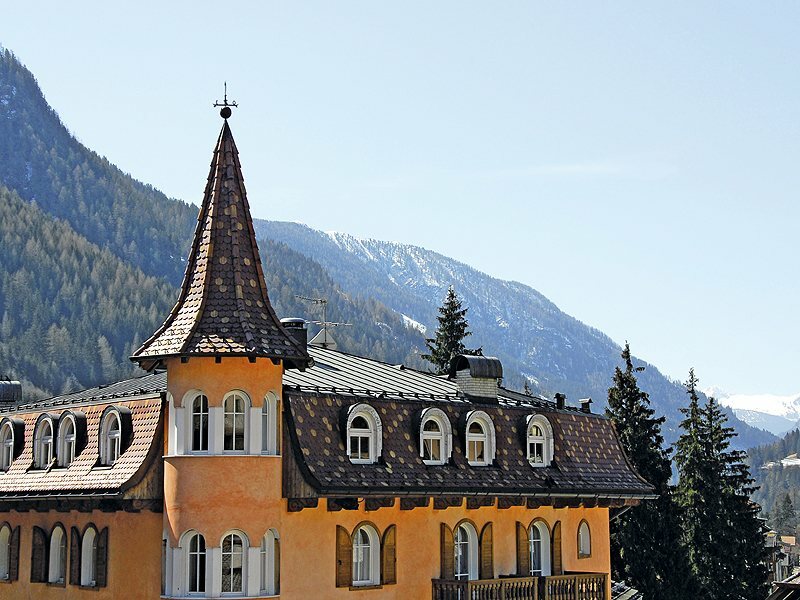 We promise delightful nature experiences, fantastic skiing and divine Italians who master the art of making you feel welcome. Good food and drinks is a nice bonus. For the sixth year in a row, we have received confirmed registrations in Marcialonga where all participants get the latest information straight from the organizer. 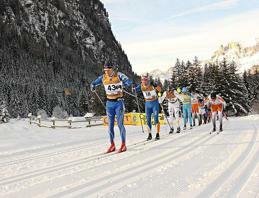 We are also official tour operator partner to Marcialonga which entitles you and us further advantages. The tours are popular and so far always fully booked. Welcome to join us to Italy! Profile of Marcialonga. Please click on the picture and you will see a larger one. Thursday - Check-In at your hotel in Moena and dinner. Headlamp skiing for enthusiasts. Friday - cross-country skiing in San Pellegrino, Moena-Canazei, Moena-Predazzo, at Stadium of Lago di Tesero, or in Lavazé. Downhill skiing in Alpe Lucia or Canazei in Sella Ronda. Ski waxing lesson in the evening. Saturday - Recharging, skiing like on Friday, visit the Expo. Waxing service or waxing by yourself. Waxing lesson in practice. Sunday - Marcialonga and celebration dinner! Monday - Spin down (cross-country) for those who wish. Check-out from your hotel. When you reach the finish line after 70 or 45 kilometers, you will get a medal, pasta, your bag transported from the start, shower, a great party and free bus back to Moena where we are staying. In the evening after the race, our celebration dinner tastes super! 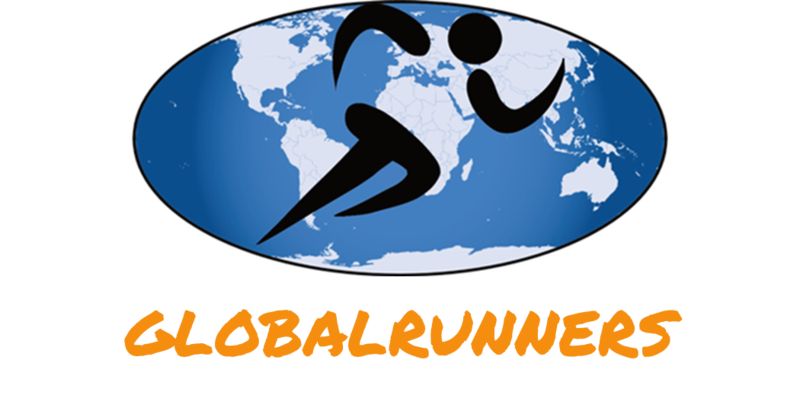 Globalrunners is Marcialonga's official tour operator partner. We stay in the centre of the village Moena where the race starts. The Marcialonga track is outside your doorstep and you have plenty of restaurants, cafées and shops close by. The hotels are fourstar hotels, owned and managed by Moena-families. 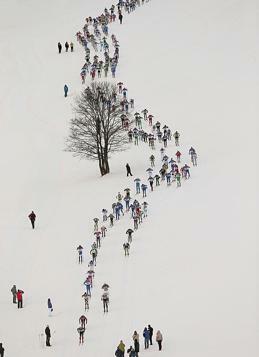 The generous breakfast buffets are adapted to cross-country skiers. You have free access to spa, sauna, wifi, waxing room with Globalrunners' waxing tables with profiles. Hotel Central has a cosy bar and a café that the locals often visit. At Hotel Maria you find the popular restaurant Kusk and the most beautiful hotelspa we have seen. Please note that this package is for non-Scandinavian guests living outside Scandinavia. If you wish, you can get transfer from and to an airport or train stations upon request and to an additional fee. If you are from Scandinavia, please check the Marcialongatour for Scandinavians here. Welcome to join us January 28 in 2020 on an unfortgetable adventure! 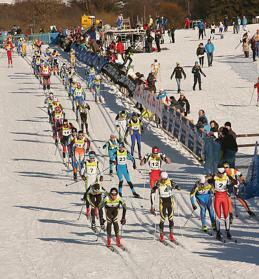 After the Finish in Marcialonga, we will move on to the next cross-country race Toblach-Cortina - on skis. We know the perfect route over the mountains and we have added an extra clou. A part of the route will be carried out by horse-lift and you will get the privilege to ski a 8,5 km long slope in the secret valley! You will get your down-hill equipment in Canazei and leave it in Cortina. Your luggage (cross country skis and bag) will be transported by car from Moena to Cortina. Ski Pass in Dolomiti Superski, the world's largest down-hill ski system, is included, as well as unforgetable views and great company during the whole way. Everyone capable of skiing red slopes can come along. Please check the link below for more info and book a beautiful challenge!